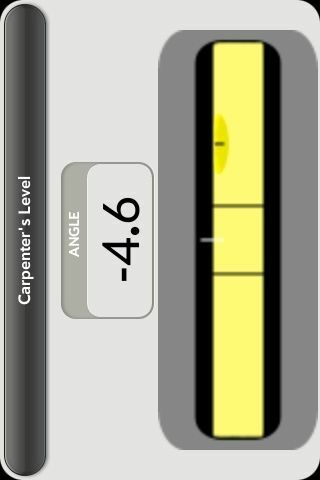 This is a spirit level or carpenter's level that uses the accelerometer to determine the orientation. I don't find it to be very accurate, but its a fun tool to have. In the code I adjust for how the Pre doesn't sit quite straight. In my Pre this allows it to just about zero out accurately. From my testing it is accurate withing +/-.2 degrees. As you will see, the graphics are atrocious. This app can't reach its potential without killer graphics. I, unfortunately, can't make them so it is up to you guys.